I’ve come to accept that self-deprecation comes with being an English major. And with the recent announcement that the GW School of Business could require liberal arts minors for its undergraduates, the tension between liberal arts and business majors has arisen again. Business school students have voiced their dissatisfaction with the potential encroachment of the liberal arts into their discipline, declaring a liberal arts minor wasteful and unnecessary. But they’re wrong. General education requirements alone aren’t enough to expose business majors to the important lessons learned from a humanities degree. A liberal arts education teaches students how to articulate and organize ideas. In the words of the late author David Foster Wallace, the humanities, among other things, “teaches how to think.” I spent a semester in the School of Business and then transferred into the Columbian College of Arts and Sciences for just that reason: I wasn’t learning how to think. Not to mention, I wasn’t learning important communication and writing skills. I could have learned my business school course material from reading a textbook or even by going online. In the entire semester that I was a business student, I didn’t have any group projects that taught me how to collaborate creatively with my classmates or professors. Requiring a minor will only advance the business education and expand post-graduate opportunities for business majors. Business school undergraduates can’t succeed in the business world if they’re not proficient in the skills that are offered to English, history and sociology majors. If business majors took on a liberal arts minor, they would learn how to prepare written essays as well as projects that involve more interaction with their peers – skills that are essential in the world of boardrooms and pinstriped suits. College business students who took the Collegiate Learning Assessment, which focuses on writing and reasoning skills, scored lower than humanities and social-science majors, according to a April 2011 article in the Chronicle of Higher Education. And a University of Missouri-St. Louis survey of GRE scores between 2006 and 2009 comparing 44 different majors found that business majors ranked 35th in verbal reasoning and 36th in analytic writing. Liberal arts majors, on the other hand, filled the top seven slots in verbal reasoning and the top nine in analytic writing. Philosophy majors scored 13 places above accounting majors. Business students are falling behind those in liberal arts fields. The skills assessed on the GRE are basic – math, writing and critical thinking – and business school students are graduating without having had enough practice in those areas. A minor in the liberal arts would change this. Bringing liberal arts to the School of Business would mean that students would get more training in the skills applicable to GMAT and GRE tests. So, business majors, no need to fear: A required liberal arts minor will not land you a permanent spot on the other side of the Starbucks counter. It may actually be your key into the business world. 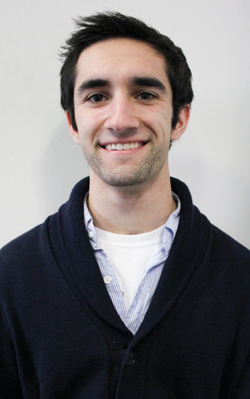 Jacob Garber, a sophomore majoring English, is a Hatchet columnist.